The Art Of... Bringing Kids to Museums | The Art Of | Kids VT - small people, big ideas! I had a revelation recently: At ages 5 and a half and 7, my kids might be ready to visit a museum that isn't specifically geared to children. Just as I thought it, my mind painted a vivid picture of all that could go wrong. We're working on emotional control in our house (translation: loud fits happen). And I recently spent a half hour sopping up milk and cereal bits from my living room rug. So a hushed, climate-controlled room filled with expensive artwork and gallery guards isn't the first place I think of when imagining a stress-free day with my kids. Just when I had convinced myself to wait another year — or five — to bring my kids to an art museum, a friend's photograph on Facebook gave me pause: three children, some close in age to mine, inside a very modern museum exhibit. This, I thought, is truly an art. And I wanted to make it happen with my kids. I just needed some practical advice. So I contacted the photographer, Carin Lilly, an art teacher at Shelburne Community School and mother of three children, Amos, 10; Damien, 7; and Luna, 5. With family trips to the Museum of Modern Art in New York City and Gaudí's Casa Batlló in Barcelona under her belt, she seemed like an expert. Her first words of wisdom were simple: "Do it," she wrote in an email. "And don't wait until your kids are 20." Why? Because it's "an aesthetic experience that pulls you out of your everyday thinking and gets you to think about, and see things, in new ways. That's good for all of us," Lilly explained. Address the basics. Make sure everyone is rested and fed — bring snacks and water. Hit the playground before you go to burn some energy. Focus on quality, not quantity. Lilly recommends choosing a smaller museum or focusing on just one exhibit — even simply one room. "No one says you have to look at every piece. Seriously. Don't look at every piece. Kids won't let you, anyway. That's the beauty of having kids: You don't have to do it the way everyone else does it." Set expectations. Have a conversation before you go: Should we touch paintings? Should we scream and jump and run around? Ask them to make a list of rules, and use it as a place to start, then re-congregate once you get there and discuss how people are talking and moving, Lilly suggested. She also questioned the assumption that everyone must be silent in a museum: "One of my kids has more than once blurted something loudly in a museum that made everyone smile, and/or agree," she explained. Apparently it wasn't the end of the world. Use technological tools to enhance, not distract. Some museums have exhibits that link to smartphones or offer interactive handheld devices. 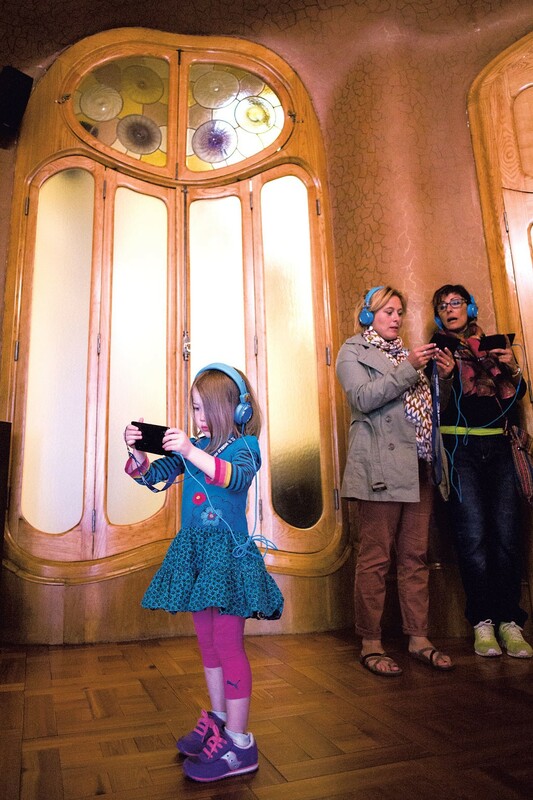 They can make the experience come alive: In Casa Batlló, Lilly's family used devices that, when held up to a window shutter inspired by fish scales, showed a virtual fish swim out. 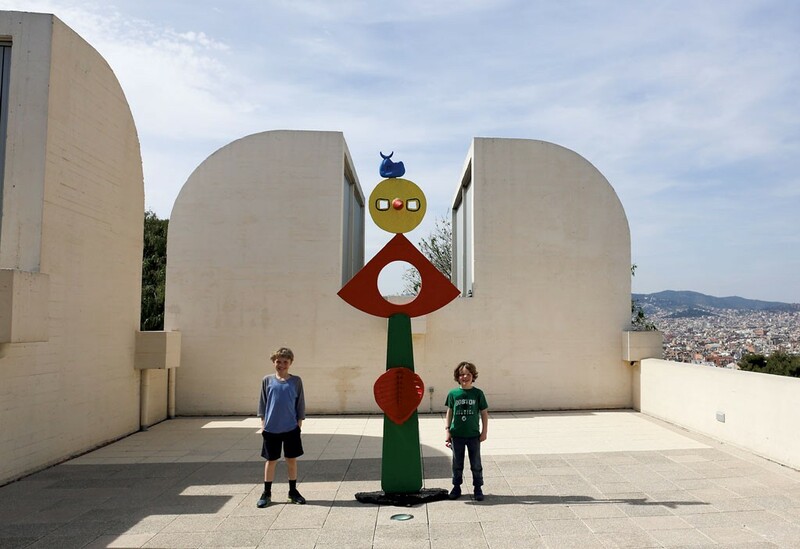 But she recommends using technology judiciously — to research an artist or snap a photo of your child next to a favorite work of art — and not let it monopolize the visit. Give them a goal. Bring notebooks and have kids do a sketch of their favorite piece. Find a theme in the work, like a shape or an animal, and have the kids find as many as they can. For older kids, give them a set number of minutes to pick their favorite piece and find out all they can about it. Then, visit each person's piece and let them teach you. "You learn way more that way than by looking at every single piece," Lilly writes. "Plus, having a kid explain a work of art and seeing it through their eyes — it's the best." Burlington City Arts on Church Street has a ground floor with two spacious rooms that are easy to pop into for access to ever-changing, contemporary exhibits. This fall, the Fleming Museum of Art on the University of Vermont campus hosts an exhibit of alumni-owned works, including ones by Wassily Kandinsky and Andy Warhol. The museum reopens September 6, after being closed for summer renovations. The Electra Havemeyer Webb Memorial Building at Shelburne Museum is a great place to view impressionist paintings by artists such as Edgar Degas, Claude Monet and Mary Cassatt. This winter, the Musée de Beaux-Arts, Montréal's largest museum, will exhibit more than 400 colorful works — paintings, sculptures, puppets and more — by Marc Chagall that explore the importance of music in his artistic career.